THE SEA, SUSTAINED: Deep-sea diving is not a new phenomenon, but with climate change a pressing concern, modern-day champions and explorers of the ocean are advocating passionately for the roughly 71 percent of Earth that’s covered by water. One of these stalwarts, oceanographer Sylvia Earle, will come to Santa Barbara on Monday, October 19, courtesy of UCSB Arts & Lectures. Raised on a New Jersey farm in the late 1930s and early ’40s, Earle grew up with a keen appreciation for the natural world. She relocated to coastal Florida in her mid teens, where she got into scuba diving and discovered the wonders of marine life. After taking part in a 1964 National Science Foundation expedition to the Indian Ocean, she found herself involved in many successive scientific trips spanning the globe-or at least the watery parts of it-from the Bahamas to New Zealand to China to South Africa to the Gal¡pagos Islands. 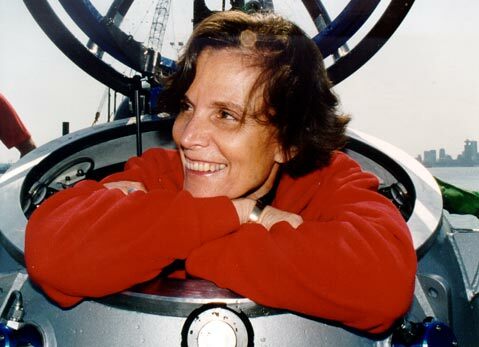 Earle has since held many prestigious roles, including curator of phycology at the California Academy of Sciences, Radcliffe Institute scholar, Harvard University research fellow, and leader of the all-female Tektite II, Mission 6, which required her to live alongside four other aquanauts in an experimental underwater structure off the Virgin Islands for two weeks straight. Along the way, she’s logged more than 6,000 hours underwater and set a women’s open-ocean dive depth record. Her own research aside, Earle also has a formidable public profile as a speaker and educator. It’s in this capacity that she’ll deliver her lecture, Sustainable Seas: The Vision and the Reality. Drawing on her recent work with the National Oceanic and Atmospheric Administration, the National Geographic Society, and Google Ocean, she’ll discuss humanity’s use of and attitude toward the oceans and how to change both for the better. Earle’s lecture takes place in UCSB’s Campbell Hall at 8 p.m. For more information, call 893-3535 or visit www.artsandlectures.ucsb.edu. CULTIVATING COEXISTENCE: What modern issue is as critical as saving the oceans? Putting an end to the Arab-Israeli conflict in the Middle East might well qualify, and David Makovsky and Ghaith al-Omari believe they have a solution. On Wednesday, October 21, at 8 p.m. in UCSB’s Campbell Hall, they’ll discuss How America Can Bring Arabs and Israelis Together Toward Peace and Coexistence. Makovsky, co-author of the recently published Myths, Illusions, and Peace: Finding a New Direction for America in the Middle East, has observed the troubles for many years, having written a host of monographs on the subject and closely covered the long road to peace in various journalistic capacities. Al-Omari, advocacy director at the American Task Force on Palestine, has held a number of positions in the Palestinian Authority, led the drafting of the high-profile Geneva Initiative, and advised Mahmoud Abbas, Palestine’s former prime minister. The event comes as part of the Herman P. and Sophia Taubman Foundation Endowed Symposia in Jewish Studies at UCSB. Visit www.ihc.ucsb.edu for details. THESE REALLY CAN’T MIX: And why not add halting the depletion of vital natural resources to the to-do list? UCSB geography professor Catherine Gautier will discuss our currently unsustainable use of both oil and water and what one has to do with the other in her Interdisciplinary Humanities Center talk, Why Oil and Water?, scheduled for Thursday, October 22, at 4 p.m. in UCSB’s McCune Conference Room (6020 Humanities and Social Sciences Building). The talk begins the center’s Oil + Water series. For more information, visit www.ihc.ucsb.edu.